Imported quality Lottie Rockabilly Doll is the award winning Lottie Doll, which is featuring well-articulated doll’s features, Vintage style clothing, retro hairstyle, fun tutu skirt, iconic blue jacket, adorable bow hair band, and more. 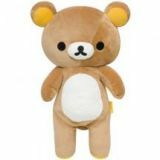 It comes in a size of 7 inches. If you little girl has hobby to collect and play with the Lottie doll then you must buy it from kid’s dolls for girls in Pakistan. Just hit order now and get it at reasonable price with cash on delivery from Amazon online shopping in Pakistan. It is perfect gift for girls of age 3 to 9 years old. 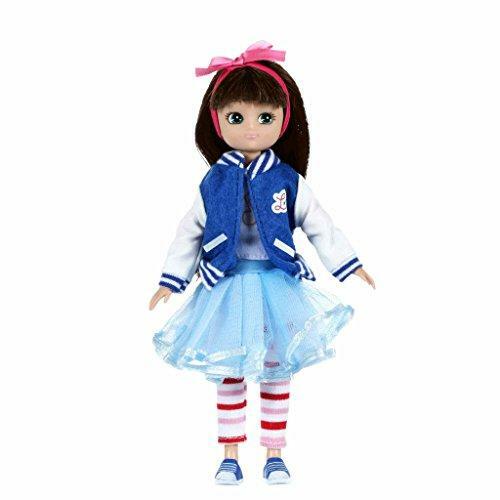 Doll dressed in a vintage-style Varsity jacket featuring the Be Bold Be Brave Be You print on the back, a long sleeved t-shirt, fun tutu skirt, sneakers, striped leggings, cute bow hairband and a pair of retro-style cat s eye glasses.